The following is an excerpt from my talk at the 2016 Sustainable UX Conference. Watch the full 20 minute talk on YouTube. I believe designers are well equipped and uniquely positioned to have a positive impact in the fight against climate change. When done well, the things we design have the power to reduce carbon emissions, reinvent our methods of consumption, and protect our planet. Having worked with all sorts of designers over the years, the fit of our skill set is clear. Designers are adept at identifying and defining challenges and then finding solutions using a system of research, brainstorming, and testing. Designers possess an innate ability to identify issues with the status quo, but they are also well equipped to make improvements. In our digital world, designers have learned the tools and methods necessary to both cast a new vision of how things could be, and bring that vision to life. Sure, these are great qualifications for designing enterprise software or creating the latest startup mobile app, but we may be selling ourselves short if we stop there. I believe these are also the types of cross-disciplinary skills needed to tackle some of the biggest challenges of our time. With that, I want to share four key factors that demonstrate designers are well equipped to make a difference in ways that contribute to a more sustainable society. 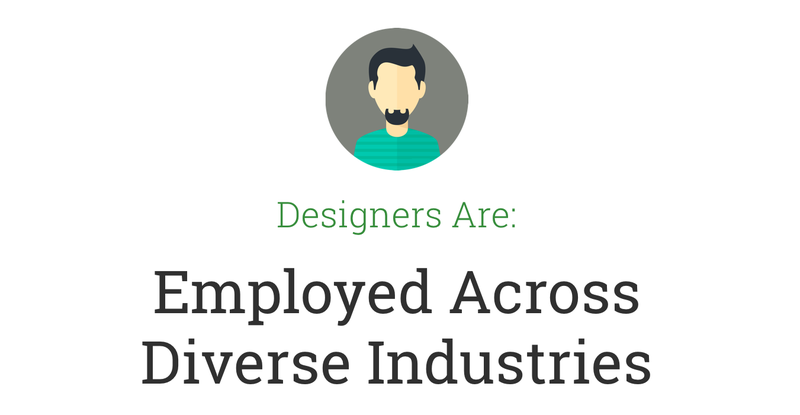 The first is the fact that designers are employed across many different industries today. Design teams are necessary for marketing and sales efforts, but they also play critical roles in product development and other core business operations. Designers work in organizations across the spectrum including energy, ecommerce, government, agencies, non-profits and more. Climate change is indiscriminate on industry, and therefore we need creative ideas across the board, not simply in a few affected sectors. 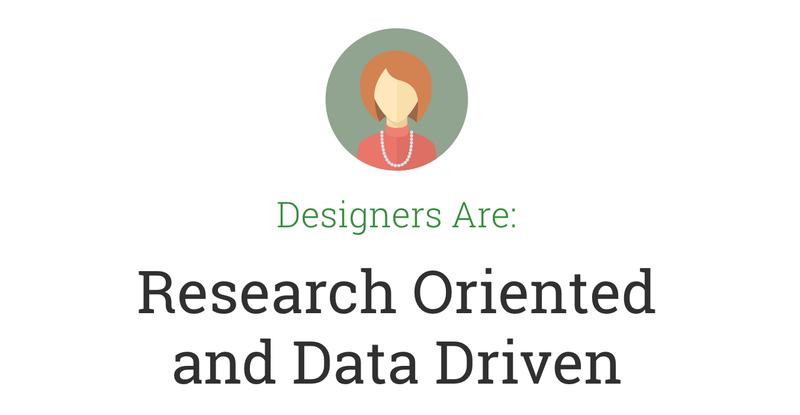 Within each of these industries, designers are champions of research and making decisions with data. Designers have discovered the value in talking directly with the people affected by products and services and collecting their feedback and ideas. The tools to do this work have exploded in recent years and many teams are opening up the process of creation and letting hard data drive decision making. This same research led process can be used to improve all kinds of things, not just digital apps. Great designers are also adept at seeing whole systems and thinking about all the related parts and people it takes to get something done. Experienced designers know that selling an idea and building consensus among stakeholders is often just as important as the idea itself. To bring a product or new idea to fruition, it takes a keen understanding of all aspects of the system that will produce it. This means looking at design and technical considerations, but also at the relationships of the people and processes that will be involved. I believe designers are hard-wired to think with this systems mentality, which leads to more complete, holistic solutions. 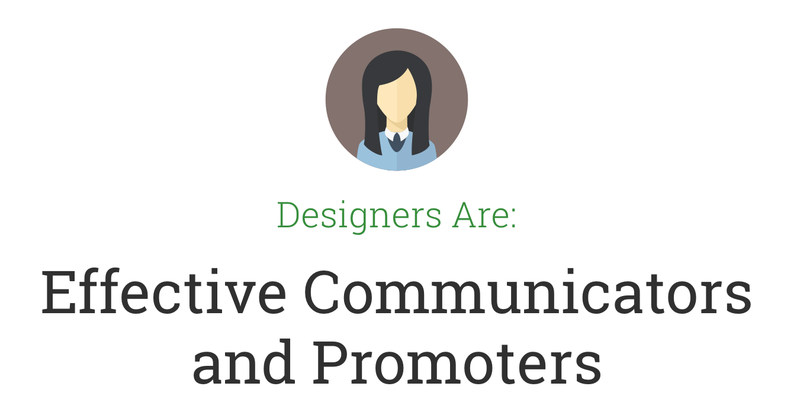 Lastly and maybe most importantly, designers are communicators. They help to clarify messages and present them in the best, most understandable manner. Eliminating waste and establishing hierarchy, designers communicate messages with energy and thoughtfulness. In a noisy world, designers can help important messages come through loud and clear. Designers are well-equipped to tackle tough climate problems because we’re already in the right places, with the right tools at hand and a unique perspective on our various industries. Whether it’s communicating sustainable messages or creating better products, I believe designers have an important role to play in overcoming the collective challenges we face. As designers, we must use our observation abilities to detect patterns and better understand the connections of complex societal systems. We must talk with real people and collect information that helps us better understand the forces at work in people’s choices and behaviors. We must explore new solutions and present information in the best light to help nudge people towards more sustainable ways of living. And finally, we must remember that we are responsible for what we bring into the world. Changing our methods of consumption, reducing carbon emissions, and moving to a more sustainable way of life will take solutions of all sizes. 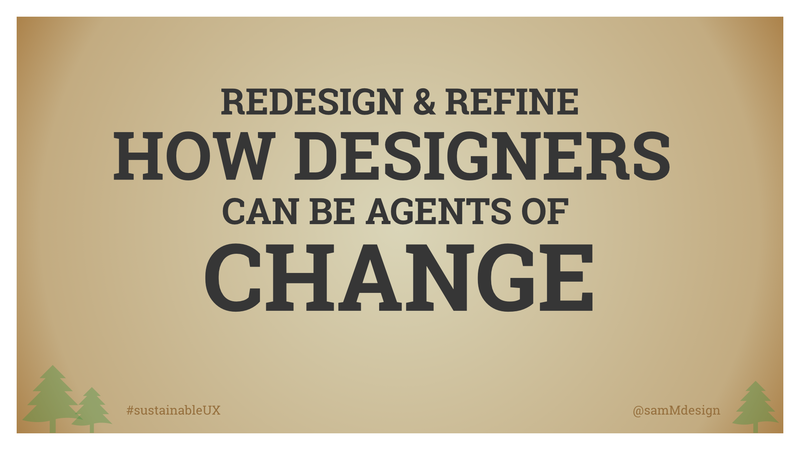 By employing the tools and skills we already possess, designers have a unique and powerful ability to be positive agents of change. Principal Design Consultant at Cantina. Designer, writer, and systems thinker passionate about smart technology solutions.